Camping and Caravan Site Finder is where you can find your perfect camp site or caravan park in the UK. Our up-to-date online directory has over 1600 UK camp and caravan sites listed, together with linked local maps and travelling directions, and the list is growing all the time. If you've stayed at any of the listed sites, why not add a rating or write a review to help future visitors choose the best sites. And, if you own or run one of the listed sites, please check that the details of your site and facilities are up to date. Not in the directory, and want to be listed? 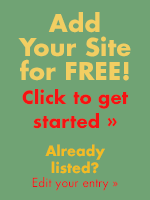 Listing is free, so simply go to "Submit site or park" and add your site. You'll need to register first so we've got your contact details, and once we've checked your entry we'll send it live, and you'll be notified.